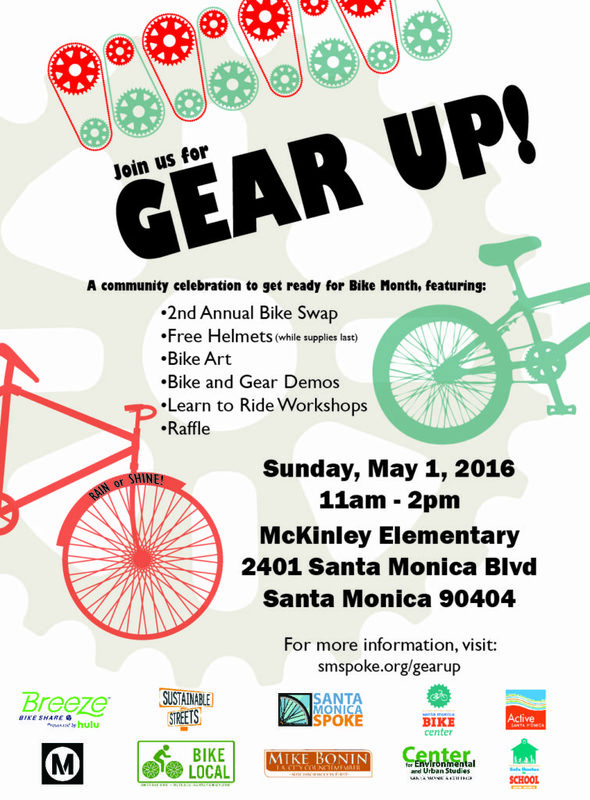 May is Bike Month and you can get ready starting on day one with Santa Monica’s Gear Up! event this Sunday. From 11 a.m. to 2 p.m. at McKinley Elementary School, join the Santa Monica Bike Center, Santa Monica Spoke, Safe Routes to School, Metro, Sustainable Streets, Bike Local Santa Monica, Santa Monica College Center for Environmental and Urban Studies, the Office of L.A. City Councilmember Mike Bonin, Active Santa Monica, and Breeze Bike Share, for a day of bike-filled fun. “Gear Up! 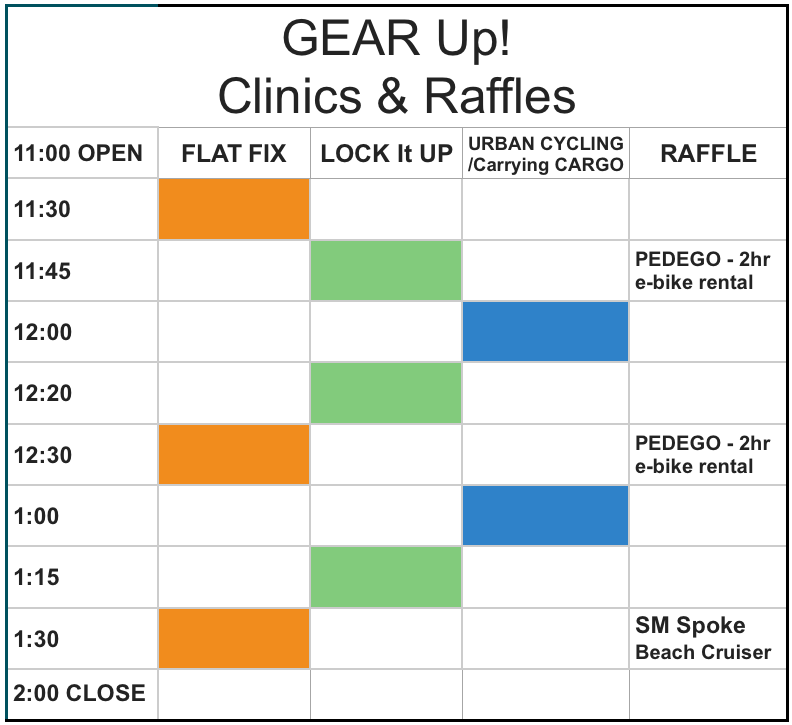 launches a variety events to help you get ready to ride, learn to pedal safely, and win free stuff during Bike Month!. 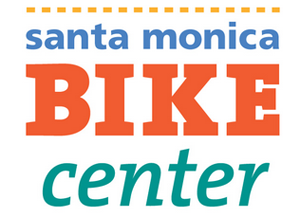 This collaborative community celebration is brought to you with local partners to help you get a bike, learn to fix a flat, win free stuff, eat good food and have fun,” according to Santa Monica Spoke’s website. There will be food, a bike swap, raffles, and bike art. 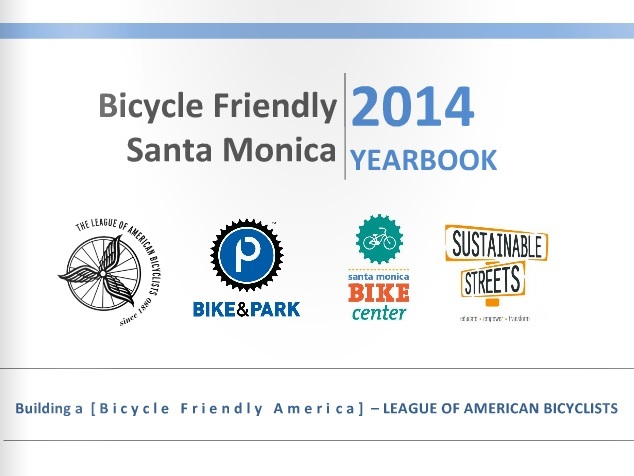 The city of Santa Monica is sponsoring a free helmet giveaway while supplies last. There will be free clinics on bike safety, tips on shopping by bike, how to ride in a skirt, and other helpful skills. For more information, visit smspoke.org/gearup or you can check out the Facebook event page here. Below is a schedule for the the clinics being presented at the event.